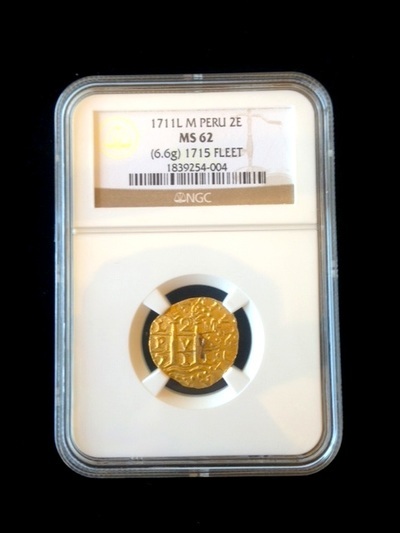 PERU 2 ESCUDOS GOLD 1711 GRADED NGC 62 "PEDIGREE TO 1715 FLEET COIN"
PERU 2 ESCUDOS GOLD 1711 L (LIMA) GRADED NGC 62 (UNCIRCULATED), WEIGHS 6.7 grams & 19mm diameter, FROM THE "1715 FLEET SHIPWRECK" (SEE OUR WEBSITE FOR SHIPWRECK HISTORY AT CertifiedGoldCobs.com) "ONLY 5 TOTAL EVER GRADED!" 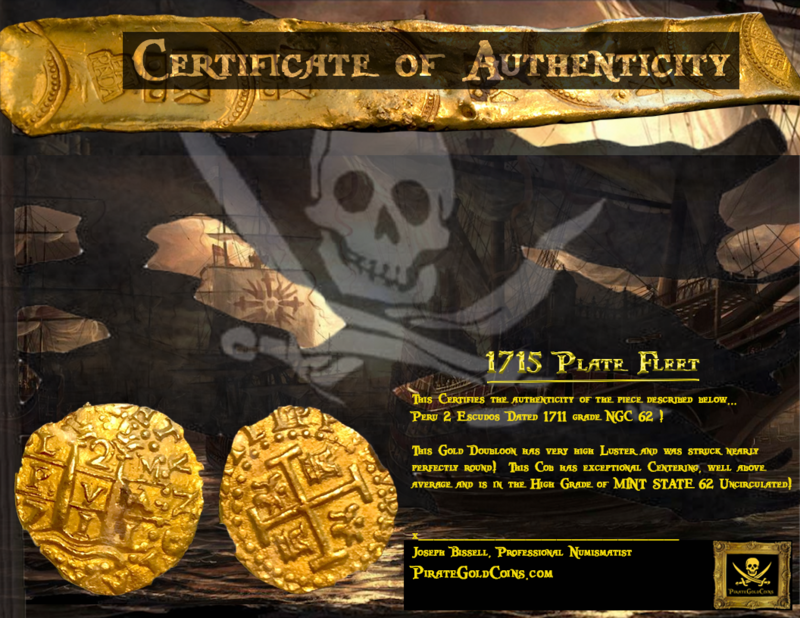 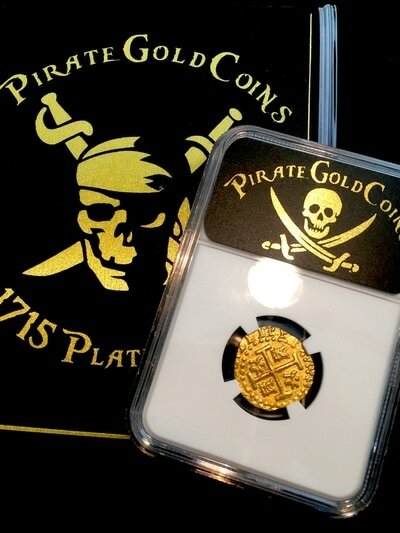 THIS VERY SPECIAL PIECE ALSO HAS AN EXTRA CERTIFICATION (SHIPWRECK COA), DISCUSSING THAT WHEN KIP WAGNER (FOUNDING PIONEER, BEFORE MEL FISHER EVER BEGAN HIS LIFE LONG QUEST OF SUNKEN TREASURE) STARTED FINDING BLACKENED SILVER COINS NEAR SEBASTIAN INLET IN THE 1950'S HE ONLY DREAMED OF FINDING COINS SUCH AS THIS ONE FEATURED HERE. 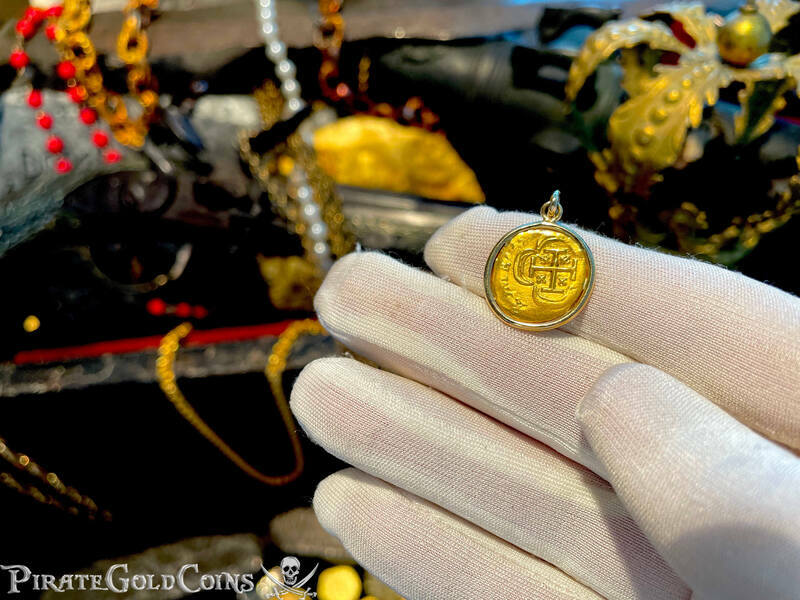 HIS METHODICAL APPROACH TO RESEARCHING THE 1715 FLEET FINALLY LED HIM TO THE PILES OF GOLD AND SILVER THAT YOU AND I CAN ONLY VIEW IN BOOKS AND BEHIND THE TIGHTEST SECURITY OF FLORIDIAN MUSEUMS. THIS EXACT COIN WAS FOUND ON THE CABIN WRECK IN 1988 IN A TARRED CONGLOMERATE AND WITH A SPIKE ATTACHED. 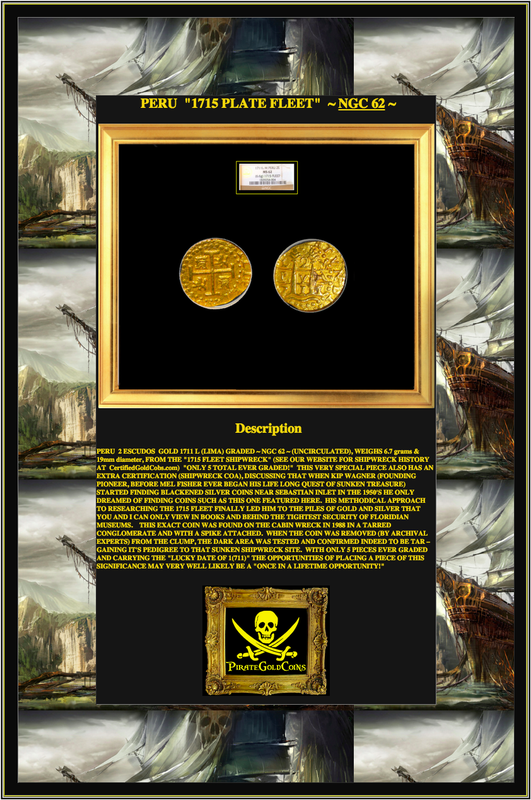 WHEN THE COIN WAS REMOVED (BY ARCHIVAL EXPERTS) FROM THE CLUMP, THE DARK AREA WAS TESTED AND CONFIRMED INDEED TO BE TAR – GAINING IT'S PEDIGREE TO THAT SUNKEN SHIPWRECK SITE. 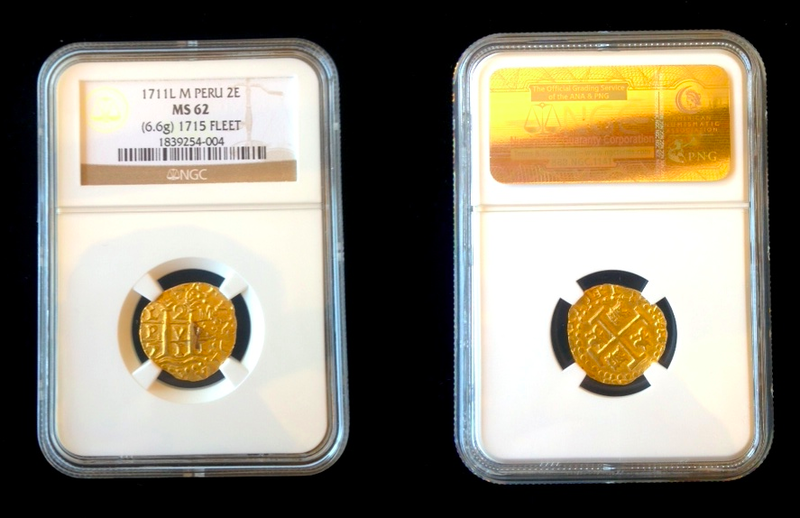 WITH ONLY 5 PIECES EVER GRADED AND CARRYING THE "LUCKY DATE OF 1(711)" THE OPPORTUNITIES OF PLACING A PIECE OF THIS SIGNIFICANCE MAY VERY WELL LIKELY BE A "ONCE IN A LIFETIME OPPORTUNITY!"